Soil is one of New Zealand's greatest resources. 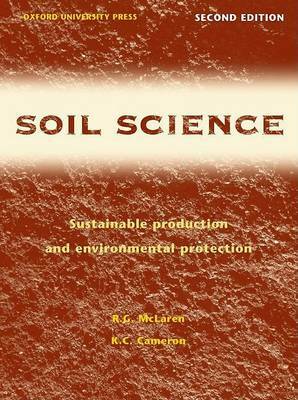 This new edition of this well-established book introduces the basic soil science theory which is essential for the proper use and maintenance of this resource. it places greater emphasis on sustainable production and environmental protection and incorporates the new soil classification system. Pedology, soil chemistry and fertility, soil physics and soil management are all covered. Each subject has been placed in a New Zealand context and many specific New Zealand examples are given. Soil science theory is linked with practical soil management and fertiliser recommendation procedures. The influence of soils on environmental quality is described an emphasis placed on the soil condition affecting plant growth.